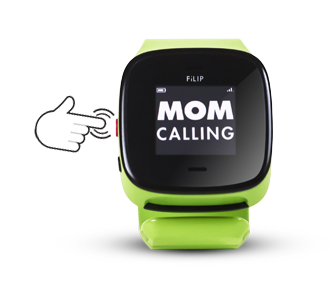 It is easy to make a call with FiLIP. Children just push the black button to scroll through the their contacts and then once they have selected who they wish to call, they press the red button. The call is made and they are connected. If a parent wants to contact a child, they go to the app, select the child they wish to call and FiLIP will ring.